Someone forgot to tell southern Arizona that it’s February. A beautiful morning again! We are so spoiled. President Nominee/Elect Jo Holt opened the meeting in the absence of President Mary Straus, who was away on business. After the pledge, Tony Hunter offered a thought-for-the-day, and John Dooling led us in a rousing version of “Buffalo Gals.” OK, maybe not exactly “rousing,” but we got through it. Maeve Johnson announced that we have a float for the upcoming Founder’s Day parade. It’s our version of Mater from the Cars movie! Is that awesome or what? 7 PM – 9 PM at Mary Straus’s home. Please RSVP at marystrauslpc@gmail.com. Benefits the Children’s Peace Initiative, which has saved hundreds of lives in Kenya this past year. Music by Randy Brooks, Bert Beatty, and Nick Coventry (violinist, vocals). Tax deductible donations will be accepted. 5pm at the Ballroom at Dove Mtn Highlands Clubhouse. Aleta Weiner, President Elect of the Dove Mountain Rotary Club, invites members of the Marana Rotary Club to hear Dr. Nooshie Motaref, who will be speaking about her book ”Tapestries of the Heart”. Dr. Motaref will talk about how 4 generations of Persians endured the effects of religion, Islam and politics over a period of 100 years. It’s getting closer! Get your cookie on! www.rotarytourdecookie.org. We were joined today by honored guest and fellow Rotarian Dan Denman, formerly with Tucson Water, who came with guest and Rotarian, Jim Schueneman, who is visiting with us this winter. 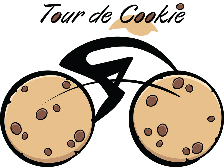 And Dan Contorno gave us an update on plans for the Tour de Cookie. It’s time to start signing up riders, letting your friends on Facebook know about the family fun ride on April 9th along the Santa Cruz River bike path (also known as The Loop). And don’t forget to check out the website www.rotarytourdecookie.org. Previously on this site we covered a rather TALL TALE given to us by Harold Burtzloff. It had to do with women running around flipping pancakes in Liberal, KS. Did it really happen, or was it just another one of Harold’s special dreams? 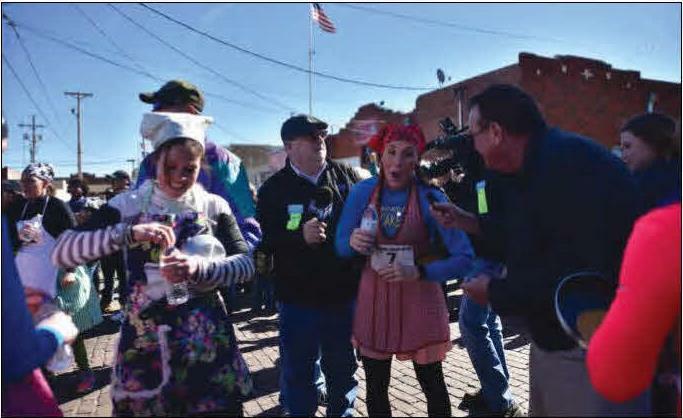 Well, proof is provided by the Hutchinson News, in which the winner of the International Pancake Day race in Liberal (Ms. Summer Parsons -- not her real name most likely) is interviewed by the local media. And Jo gave her Happy Buck in honor of the recent discovery of Gravitational Waves. Egged on by the crowd, she reluctantly gave a very short summary of GWs. Mr. Stefan Baumann, the Director of Business Development at the Port of Tucson, gave us an inside look at the Port, which was fascinating. 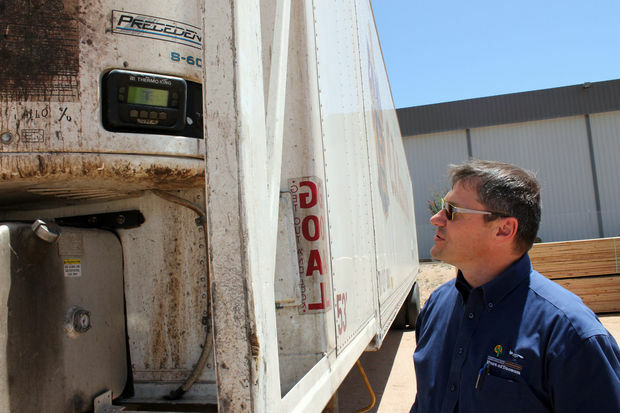 The Port of Tucson is a major part of our transportation infrastructure, tying together air, truck, and rail service carrying freight for the produce, mining, and other industries. This includes freight to and from maquiladores, which are manufacturing operations in Mexico who import material and equipment on a duty-free and tariff-free basis for assembly, processing, or manufacturing. The processed or manufactured products are then exported back to the U.S. The Port is an 800 acre foreign trade zone which is privately owned and operated. Stefan explained that most Ports in this country are operated by the railroads. Getting to know more about the Port of Tucson was really eye-opening!